QUEENSLAND: Yesterday, the first humpback whales of the 2013 Queensland whale watching season were spotted swimming north past Stradbroke Island towards their breeding grounds in the warm waters of the tropical north. 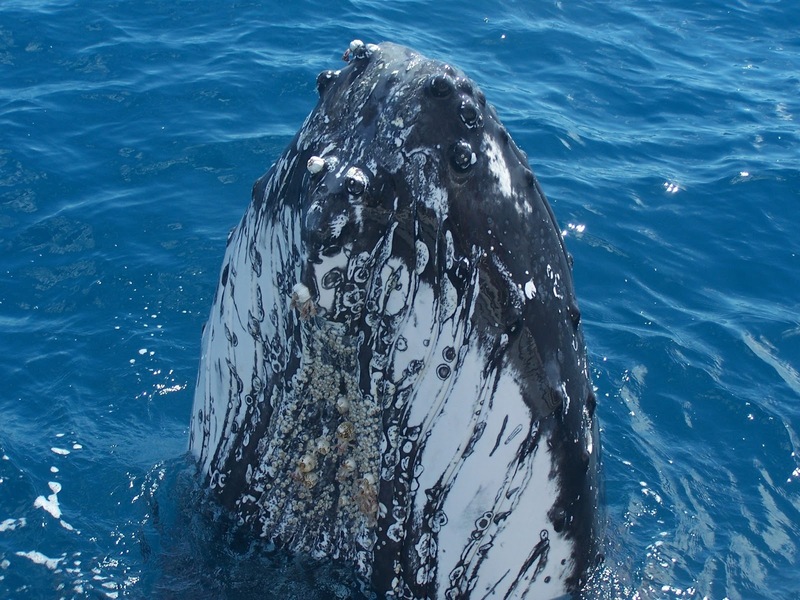 The lifecycle of the Southern Humpback Whale brings them into Hervey Bay's Great Sandy Strait every August to October to socialise and to give their newborns time to grow stronger in the calm, protected waters before beginning the long journey south to Antarctica. Getting up close to one of the most majestic and powerful creatures on this planet is like touching the fabric of life itself, as writer Jessica Jane Sammut discovered last season on a family holiday to Fraser Island. When you talk about the ‘great outdoors’ of Australia, there are so many incredible things to list – the red terrain, the incomparable beaches, the aqua marine ocean, the rainforest, the indigenous dreamtime trails; I could go on forever. But one glorious wonder sticks out more than all the rest for me. The humpback whale (Megatera novaengliae). The most mesmerising of mammals, the humpback whale (measuring as an adult between 12 and 16 metres) is truly an object of majestic fascination for me. Typically migrating up to 25,000 kilometres each year to breed and give birth, the East Coast of Australia is lucky enough to play its role in this path, allowing those who wish to, to get a glimpse of these gentle giants in their own natural habitat. Some people travel around the world to gain such a sight. We have it right on our doorstep. Lucky? You betcha. So, it was with absolute glee that last year my family and I booked a holiday to Fraser Island, staying at the Kingfisher Bay Resort, knowing that they offered the only whale watching tour that I had heard of which 100 per cent guaranteed sightings of humpback whales. Excited, much! Humpback whales are the star attraction on Hervey Bay’s event calendar as they visit like clockwork every season, taking time out of their epic migration to rest near Fraser. The calm waters of the Great Sandy Strait – on the lee of Fraser Island – provide natural protection as these surface-active whales socialise with their young before setting off on the long journey back to Antarctica. When it comes to whales who is watching whom? I had heard that in relaxation mode, they could put on a bit of show – tail-slapping, breaching, pectoral slapping, spy-hopping – but I have to admit, all I was really hoping for was to catch a look at even a fin, just so I knew they were close. So on the third day into our holiday, I boarded the Quick Cat II, camera around my neck, swirling butterflies of nervous anticipation buzzing at my core. Would we see something? How much would we see? Having never gotten up close and personal with a whale before, to say I was looking forward to it would have been an understatement. And boy, I wasn’t disappointed! Arriving in the deeper water after an hour or so, the captain of the boat confirmed that we were in an area that had been noted that morning as having whales resting, and so we waited. Engine off, eyes abound. The mood on the boat was electric as we all searched the horizon for the object of our affection that morning. And it was not long before our search was over. For straight ahead, we saw a whale rise her tail and smash it back down into the ocean as if waving hello. We were here and they were just there – like something out of a movie. I knew right then I was logging a memory that I would never forget. And so it continued – a show that would rival anything I had seen on television. Two whales rising out of the water and disappearing, two babies blasting foam through their blowholes, fins splashing, tails rising and falling, and the ultimate sight – two breaches. I was utterly spell bound. It was the most wonderful example of nature I had ever seen and I truly believe those whales were trying to communicate with us. They knew we were there and they were happy to let us see what they could do. On returning to the resort's etty at the end of the morning, I realised my face hurt. Hurt from smiling. I had not stopped since boarding the boat, the smiles graduating to beams of happiness as our whales came to play. And it is still a memory which makes me smile, even as I write this. I have photos and I have video footage, but most of all, this experience is locked in my heart and head forever. And that is something I will cherish always. Like I say – the Lucky Country? It’s the best place on earth. 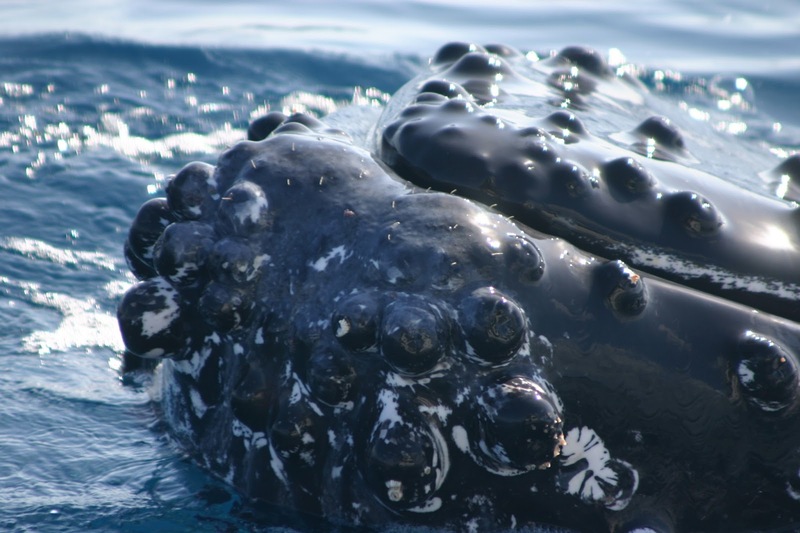 The Hervey Bay Humpback Whale Watch season runs annually from 1 August to 31 October and whale watch sightings are guaranteed. Morning cruises leave daily from Kingfisher Bay Resort aboard the Quick Cat II and can be purchased from the resort or as part of an accommodation package. If you're in awe of these gentle ocean giants and want to know more, why not follow us on our Facebook page; visit our dedicated website; or tag your photos with #kingfisherbay and #fraserisland on Instagram and share your own experiences? About the author: Jessica Jane Sammut is an international freelance writer and editor who contributes to the likes of Australian Women’s Weekly, Marie Claire, Practical Parenting, The Sunday Mail, Yahoo!7, Cosmo Pregnancy and The Courier Mail, from her cottage in the palms. *Photos courtesy of Hervey Bay Whale Watch - our whale watching partners.